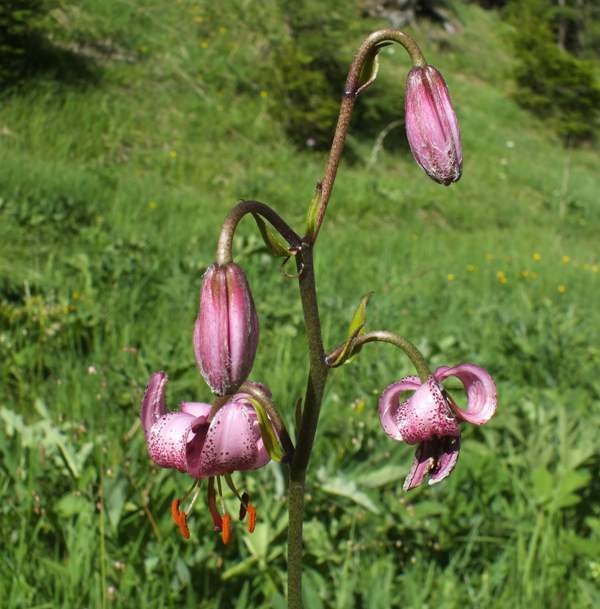 The Martagon Lily is one of the 'must-see' flowers on any visit in spring and early summer to the Alps and mountains in central and southern Europe. It has become naturalised in parts of Northern Europe having escaped from gardens, but it's lovely to see it growing wild. 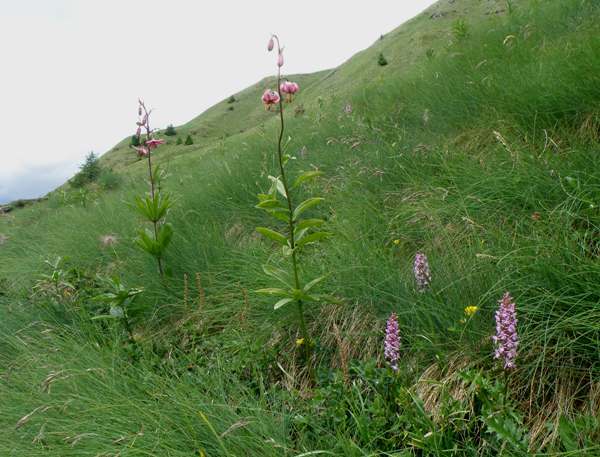 Martagon Lily is tall, growing up to a metre in height, and although it can be found in Alpine meadows it is equally at home in shady woodland and amongst shrubs. Martagon Lily blooms slightly later than the Carnic Lily, although they are sometimes found flowering together. The dusky pink flowers of Martagon Lily open towards the end of June and continue to flower until well into August. The specimens shown on this page were photographed in Italy in June.